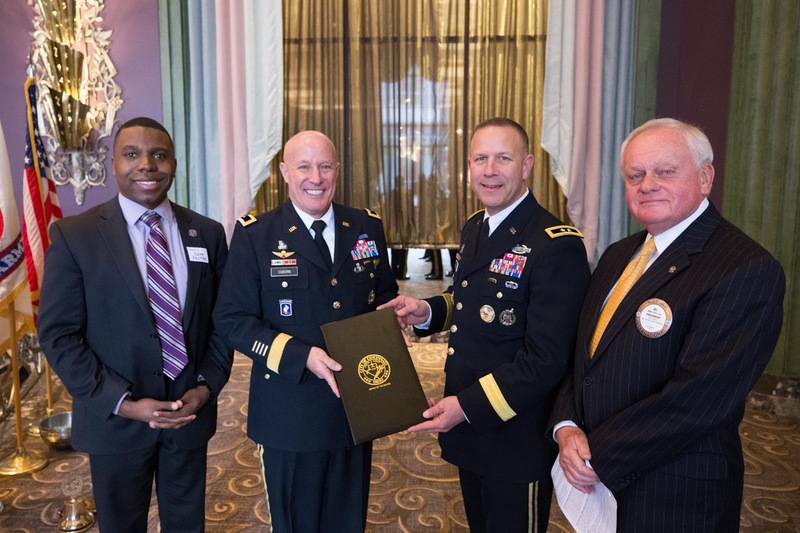 The Rotary Club of Cincinnati hosted top US Army brass in January to launch the 2018 12-city tour of “Meet Your Army,” a national program designed to educate and engage the public with the army’s mission and needs. With the Cincinnati Mayoral Proclamation of “Meet Your Army Day” are Councilman Jeff Pastor of Mt. Lookout, who presented the proclamation; Major General David Coburn; Major General Jeffrey Snow; and Al Koncius, president of the Rotary Club of Cincinnati. Major General Jeffrey J. Snow, commanding general of US Army Recruiting Command, and Major General David Coburn, commanding general of Army Financial Management Command, spoke at the Rotary Club of Cincinnati, were guests on TV and radio shows, visited high schools and the University of Cincinnati and spoke to other community, business and veterans groups. At the Rotary meeting, Cincinnati City Councilman Jeff Pastor of Mt. Lookout presented a Mayoral Proclamation declaring January 25 “Meet Your Army Day” in Cincinnati. Major General Snow said the “Meet Your Army” program was designed to help young people, their families, educators and business and community leaders interact with army representatives. 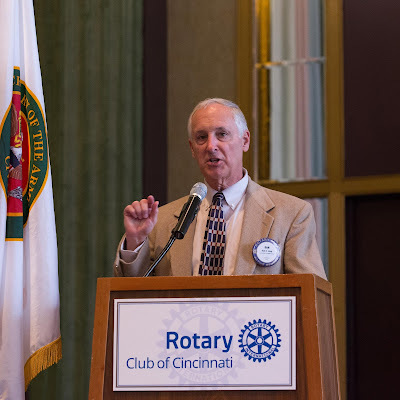 Rotarian Dan Long of Mt. 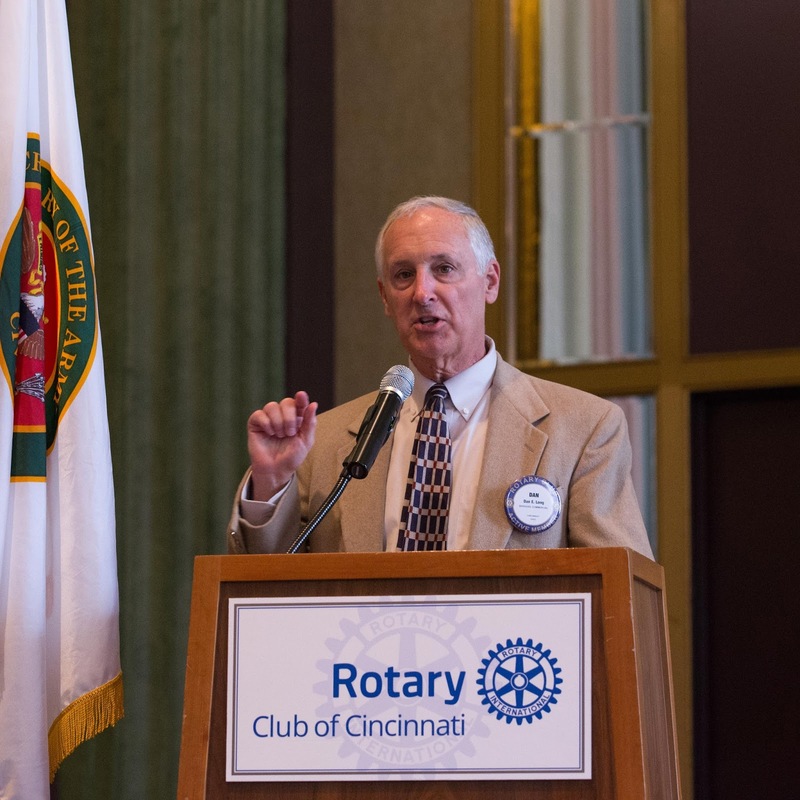 Lookout addresses the crowd at the Rotary meeting. He said the Army is looking for 95,000 recruits in 2018. “Today, 50% of our youth have little understanding of what the army is,” said Snow. “What they think they know comes from movies and the news – what they see is fighting. But the majority of specialties in the army are not combat related. The January programs were the first of several “Meet Your Army” events scheduled in Cincinnati through the year.